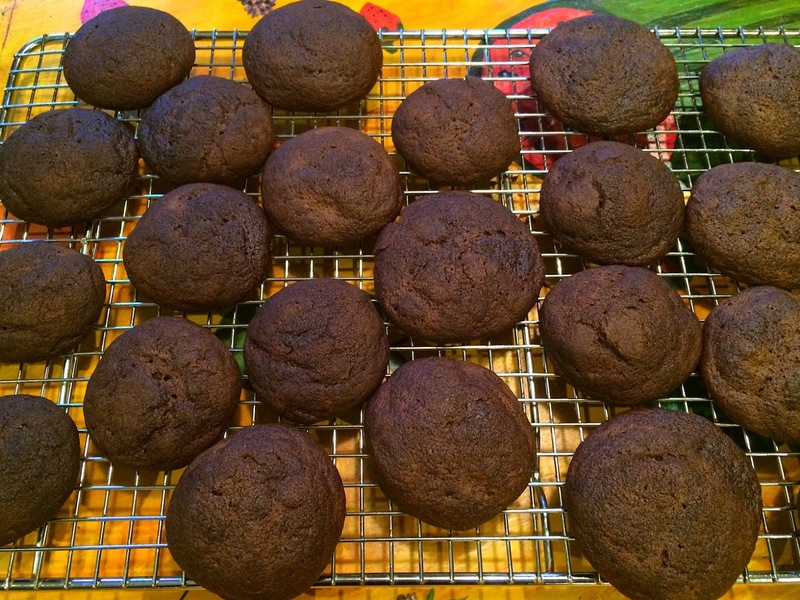 I had high hopes for this cookie recipe and was a bit disappointed with the finished product (and wasn't going to blog about them). But then I got a hyper-enthusiastic text from my SIL (omg that cookie was so good!!! ), so decided to share. These soft cake-like cookies pack a nice spice punch, but it's really the frosting that makes them shine. The instructions call for rolling out the dough and cutting shapes with cookie cutters, but it was way too soft for that. 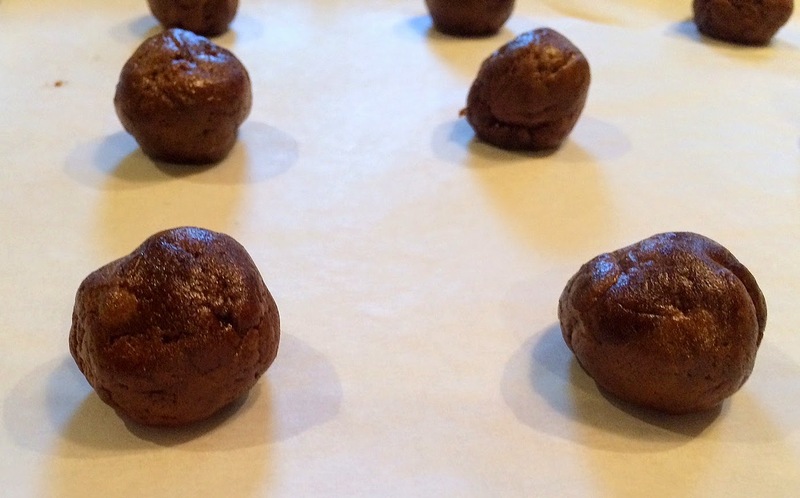 Instead, I formed balls and baked them that way. Below are most of the ingredients needed. 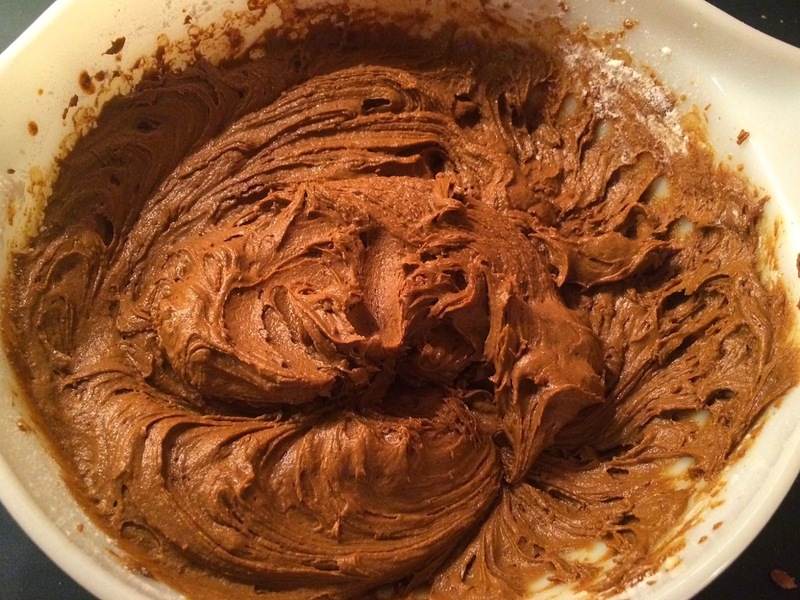 The beginning of the batter. The middle -- don't worry if it seems to "separate" and isn't smooth. After the flour is added, it will all come together. Form into balls a little smaller than golf balls. The dough is sticky; I wore non-latex gloves for this task. 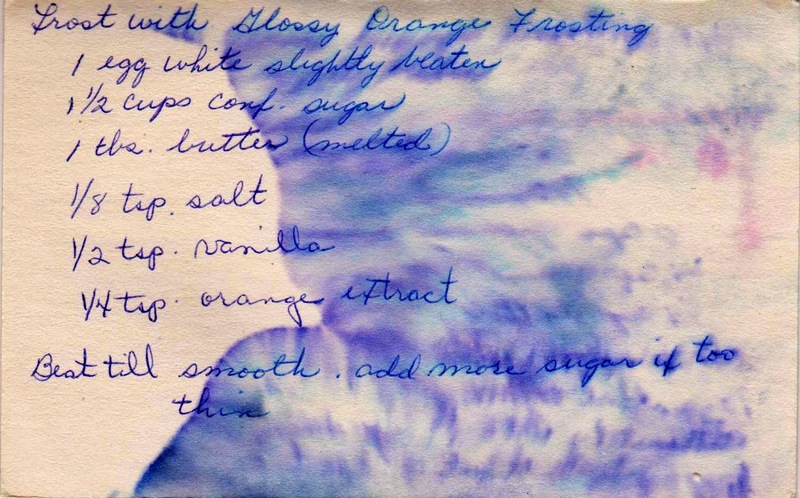 These recipe cards were victims (along with some others) of an unfortunate orange extract spill, so I've written the recipes out below. 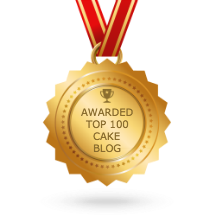 I did not use the seven minute icing on the recipe card because it was stormy outside, and it wouldn't have worked. 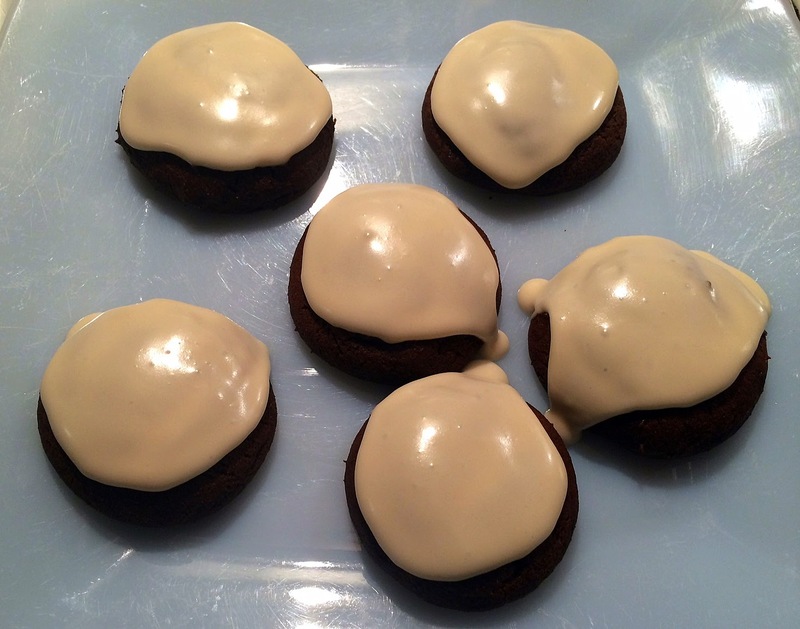 Instead, I used glossy orange frosting that was on another recipe card with a ginger cream cookie recipe. 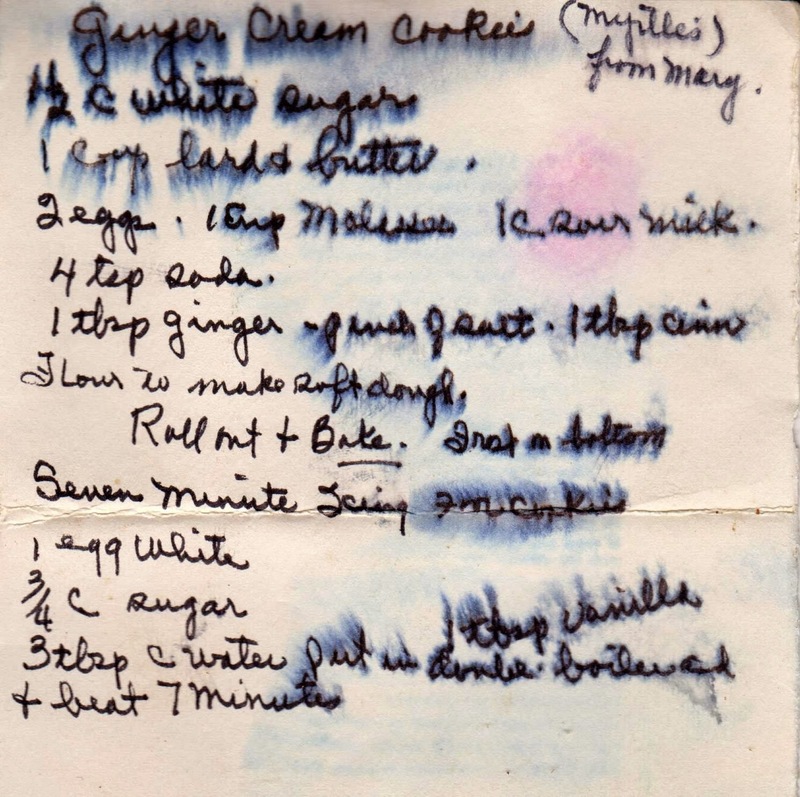 Production notes: I made half of this recipe and used about three cups of flour. The amount of flour isn't specified, and I didn't add enough to make it stiff enough to roll out. 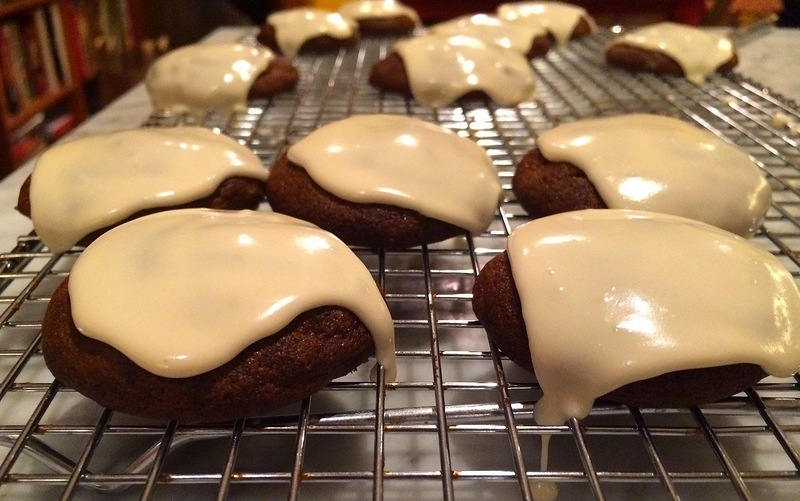 The amount of frosting is enough to frost about 1/4 of the cookies from the full recipe. 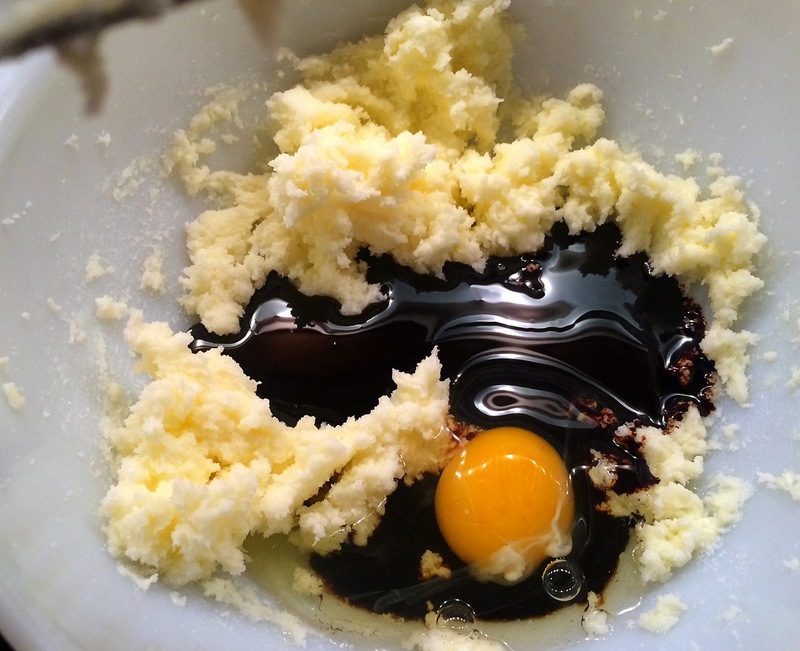 Combine butter and sugar and mix well. 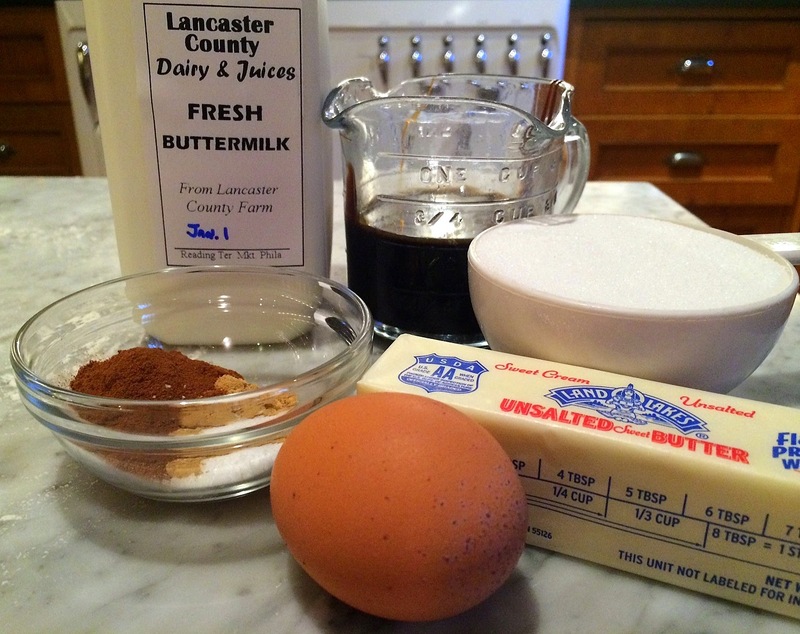 Add eggs, molasses, and buttermilk. Combine. 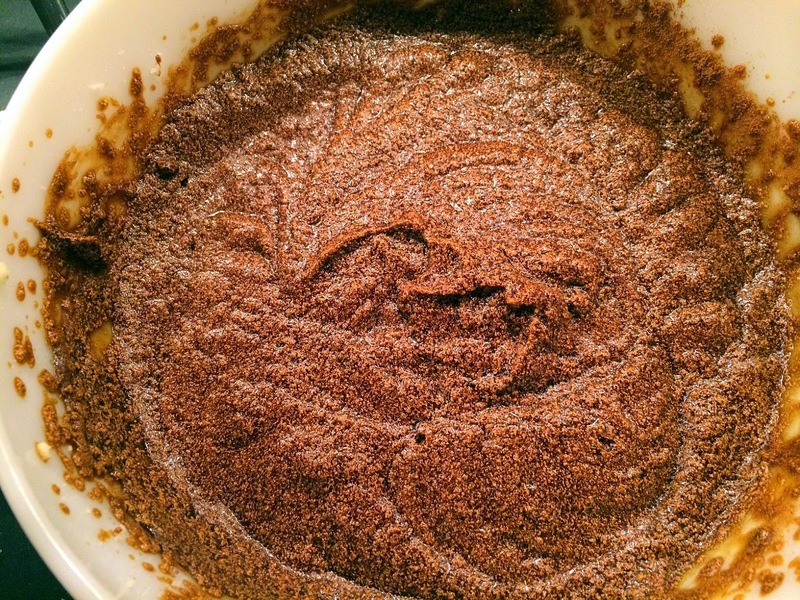 Mix the dry ingredients together and add to batter. Form into balls and bake at 350 for about 11 minutes. Combine all ingredients and beat until smooth. Add more sugar if frosting is too thin.